Benzino (born Raymond Scott in 1964) is a rapper and former CEO and co-owner of The Source, a popular hip hop magazine in the United States. Originally from Boston, Massachusetts, Benzino met The Source founder Dave Mays while attending Harvard University. From 1988 to 2001, Benzino was a silent partner in the growth of the business. However, in 2001, Benzino acknowledged his involvement in the publication. As a rapper, Benzino’s career has been relatively unsuccessful, compared to many of the artists featured in his magazine. 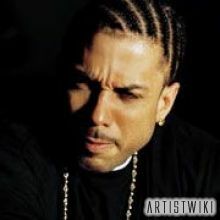 Though known for his run-ins with the police, Benzino is most famous for his on-going feud with rapper Eminem, and more recently hip hop group Slaughterhouse.